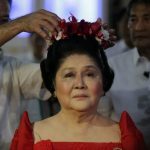 MANILA, Philippines – Former Philippine first lady Imelda Marcos felt “violated” after the authorities searched her homes and offices and seized art pieces, her lawyer said on Wednesday, October 1. Government agents launched simultaneous searches on Tuesday for eight paintings potentially worth tens of millions of dollars, including works by Picasso, Gauguin, Miro, Michelangelo and Pissarro. “She felt really violated that this happened. 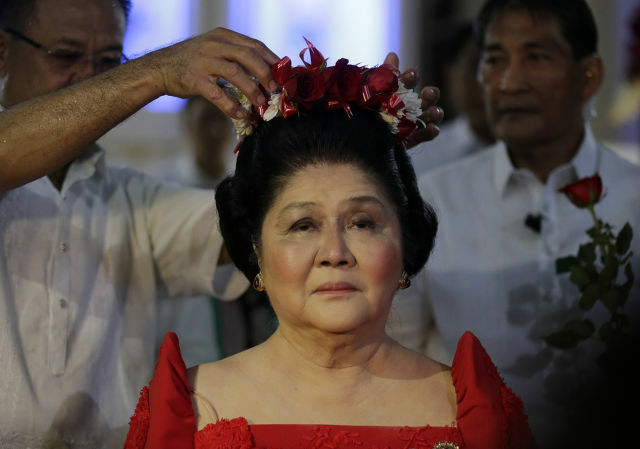 She was really in shock,” Marcos’ lawyer Robert Sison told Agence France-Presse. The 85-year-old widow of the late dictator Ferdinand Marcos was asleep in one of her luxury Manila apartments when a team of government agents arrived, announcing they were searching the place, Sison said. Still recovering from recent eye surgery, she sat “calm and composed” on a wheelchair while the search got underway, he added. Other teams also went over another luxury apartment, a Marcos mansion in suburban Manila, and Imelda Marcos’s office in the House of Representatives where she serves as an elected congresswoman. Sison said nothing was found where Imelda Marcos was staying but artworks were taken from the mansion. The raid came a day after a special court ruled that eight paintings owned by Imelda Marcos had been acquired with embezzled state funds and must be turned over to the government. Sison insisted the government had yet to prove the paintings were acquired with stolen money, and added her client intended to seek legal remedies. “There were three of them but there is supposed to be only one. They could all be replicas or one could be genuine,” he told Agence France-Presse. Experts from auction houses Sotheby’s and Christie’s will be consulted to verify if those seized are the paintings being sought, said Andres Bautista, head of a special wealth-recovery body. The “Madonna and Child” had originally been acquired for $3.5 million, according to documents from Bautista’s agency. The government agency said about 156 masterpieces were acquired by the Marcos couple before a military-backed popular revolt toppled them from power in 1986.